Sputnik: World Cancer Day will take place on 4 February. What efforts is WHO making in this area today? How effective are these measures? Dr Svetlana Akselrod: WHO supports governments to develop and implement a comprehensive response to cancer prevention and control. To begin, WHO assists governments develop national plans and policies for cancer and other noncommunicable diseases (NCD) that align with global commitments including UN Sustainable Development Goals. WHO has identified "best buys" and other cost-effective, priority strategies for cancer prevention and control. These interventions are broad and require action beyond the health sector. This includes tobacco legislation and taxation, strategies to reduce obesity and harmful use of alcohol and to promote physical activity. WHO also supports countries to improve access to and quality of cancer treatment by identifying essential medicines and diagnostics, health workforce components necessary to improve population coverage and reduce financial harm. Scaling-up access to cancer treatment and palliative care are important elements of Universal Health Coverage. The International Agency for Research on Cancer (IARC), which is the specialised cancer agency of WHO, is responsible for classifying tumours, monitoring cancer cases globally, identifying what causes cancer, promoting and implementing a research agenda. Cancer requires a coordinated approach across sectors. WHO facilitates dialogue and action by broad stakeholder to introduce the most effective policies that improve population health. In addition to its work developing global norms and standards in cancer, WHO is spear-heading two major global initiatives: to eliminate cervical cancer and to reduce avoidable deaths from childhood cancers. Sputnik: What are the most common types of cancer recognised by WHO? Dr Svetlana Akselrod: Each year, more than 18 million people are diagnosed with cancer. The most common types of cancer lung (2.09 million cases), breast (2.09 million cases), colorectal (1.80 million cases), prostate (1.28 million cases), non-melanoma skin cancer (1.04 million cases), stomach (1.03 million cases). The most common types in Europe are breast, colorectal, lung, prostate and bladder. 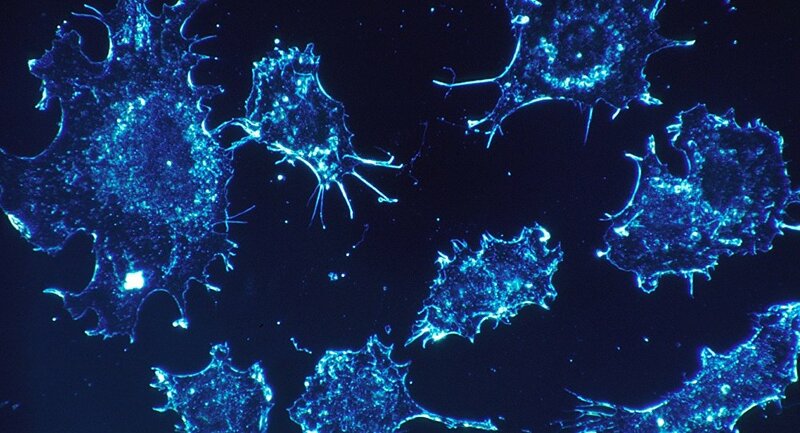 Sputnik: How can an individual prevent cancer? Dr Svetlana Akselrod: To reduce the risk of cancer, individuals should: not smoke or use any form of tobacco, take action to maintain a healthy body weight, be physically active, eat a healthy diet by consuming more fruits and vegetables and less foods high in fat, sugars or processed meats, limit alcohol intake, avoid too much sun exposure, participate in vaccination and screening programmes as appropriate and, for women, breastfeed and avoid hormone replacement therapy. Sputnik: What is the current situation with cancer treatment in the world? Dr Svetlana Akselrod: The availability and affordability of cancer diagnosis and treatment are variable throughout the world. There are many countries where cancer management is not generally accessible. For example, a recent survey from WHO has found subsidized chemotherapy was not available in 31% of countries and radiotherapy was not available in 42% of countries. WHO monitors advancements in cancer treatment and can support communication related to advancements in science including cancer. WHO supports countries of all income levels to advance their cancer capacity according to country priorities, without any condition or ranking. Sputnik: Is there a cure for cancer that is officially recognised by WHO? Is it possible to believe the promises that one pill will help cure cancer or prevent it? What type of cancer would it cure or prevent? Dr Svetlana Akselrod: Many cancers are curable, and all can be managed. There is no cure for all cancers at this time, and there is not one pill that will prevent or cure cancer. Certain cancers can be prevented by vaccination such as HPV to protect against cervical cancer. Effective treatments exist for cancer. The likelihood of successful treatment depends on the type of cancer, when it was detected and the types of care provided. Cancer generally requires multiple treatment types that can include surgery, radiotherapy and medicines. Strategies exist to reduce cancer risks, and many cancers, when detected early and treated appropriately, can be cured, such as childhood, breast and cervical cancers. Sputnik: On the world cancer day 2019, WHO focuses on the elimination of cervical cancer. What is the burden of this disease in the Russian Federation? Dr Svetlana Akselrod: Cervical cancer is the 7th most common cancer in the Russian Federation. The world has come together to share in the call by the Director General of WHO, Dr Tedros, to eliminate cervical cancer. Cervical cancer is a disease of inequities, impacting the most vulnerable women and having a negative impact on their families and communities. We can eliminate cervical cancer by ensuring girls are vaccinated against HPV, that women between the ages of 30-49 are screened, and that women who develop cancer are offered quality treatment or palliative care services. Sputnik: Cervical cancer is closely related to the human papillomavirus. Almost 90% of the worldwide population has this virus. In recent years, there have been discussions on the possibility of HPV vaccination to lead to infertility. How accurate is this information? How likely is it for a woman to get cervical cancer if she has HPV? Dr Svetlana Akselrod: The WHO Global Advisory Committee for Vaccine Safety regularly reviews the evidence on the safety of HPV vaccines. Clinical trials and surveillance of the safety of HPV vaccines have consistently shown that the vaccine is very safe and very effective in preventing HPV infections and protects against the development of cervical cancer. There is no evidence that it causes infertility. Many people are exposed to the virus at some point in their lives. Most HPV infections clear up on their own without progressing to cancer. For a small minority of women, the HPV infection may become chronic and pre-cancerous lesions will develop and may evolve into invasive cervical cancer. There are certain factors that influence the likelihood that an HPV infection will persist and develop into cervical cancer. They include the type HPV infection, the immune status of the woman, any co-infection with other sexually transmitted infection, the number of babies born and tobacco smoke. At this time, it is not possible to predict with certainty when an infection will progress to cancer. For this reason, it is critical that all women undergo screening evaluation as recommended by the Russian Federation government.